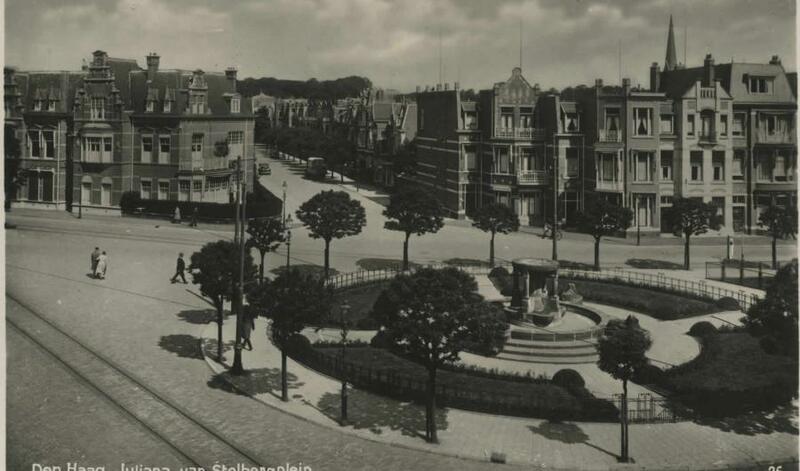 The grand square at the Juliana van Stolbergplein centered by the lion monument, a monument designed and unveiled in honor of Princess Juliana. 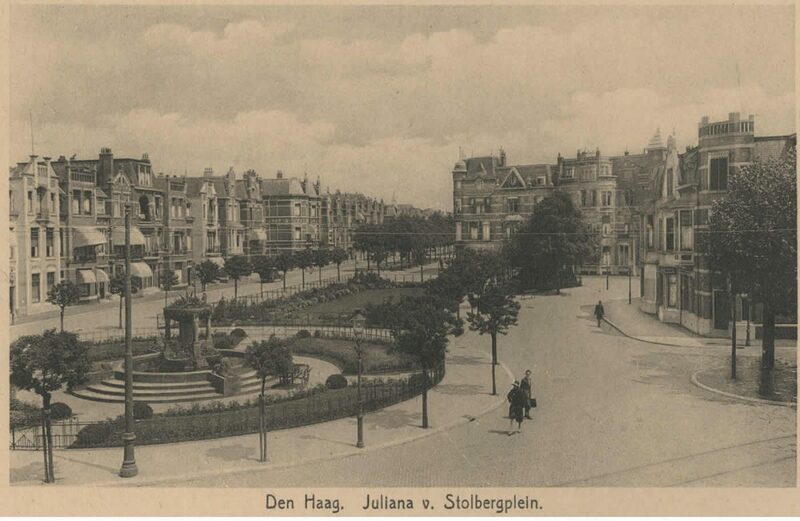 The Juliana van Stolbergplein with the Adelheidstraat in the middle (approx. 1935). A view of the square, with the Tweede Adelheidstraat on the left. 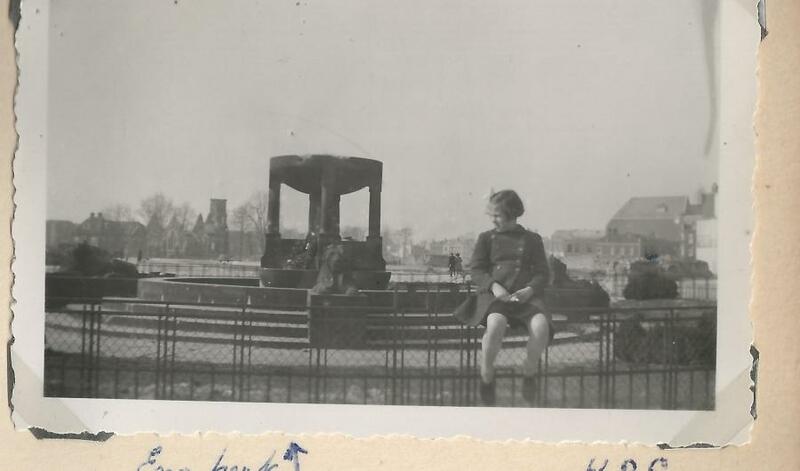 A view to the right, towards the Juliana van Stolberglaan (approx. 1915). This was Juliana van Stolbergplein, an elongated square built around 1900, which had no less than nine streets joining it. The buildings consisted of Neo-Renaissance and Art Nouveau style stately properties. The square was named after Juliana van Stolberg (1506-1580), the mother of William of Orange. The Hague streetcars ran here from 1907, which connected Bezuidenhout with the centre of The Hague. The monument that was erected in 1910, to commemorate the birth of Princess Juliana a year earlier, stood on this side of the square. 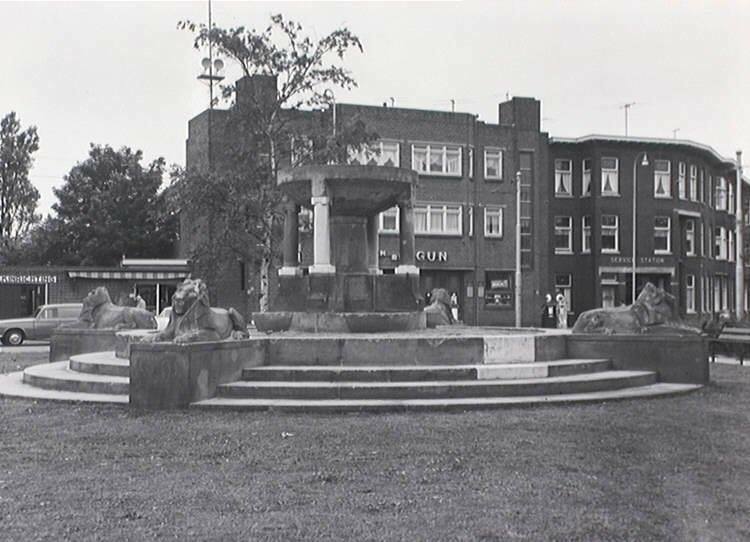 This was popularly called the 'lion monument' or 'the hourglass'. At the north-east was a rectangular park that was encircled by May-trees. However, they had already disappeared by the time of the bombing as they were felled and burnt during the 1944-45 freezing winter. 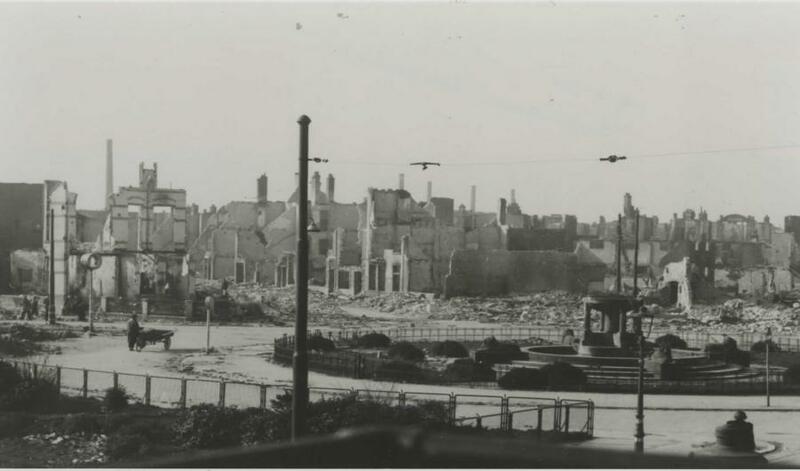 The Juliana van Stolbergplein and its immediate surroundings were almost totally destroyed during the bombing. And it was never reinstated after the war. 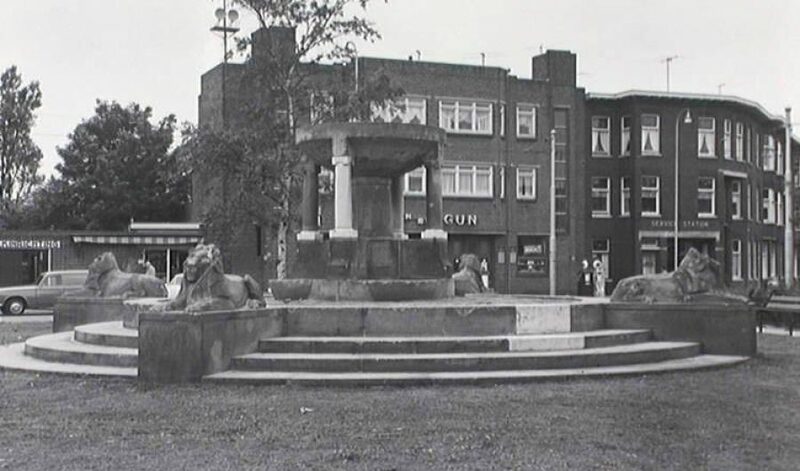 The lion monument, however, remained undamaged by the bombing. 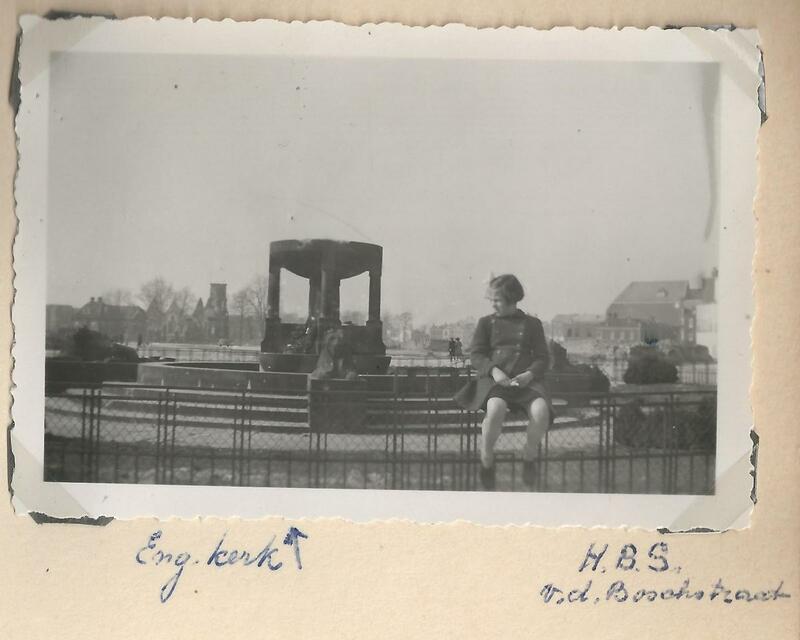 It was moved to the Stuyvesantplein in 1956, where it is still today. 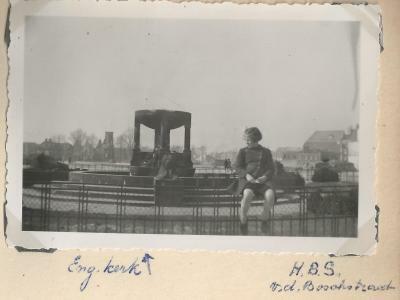 "the turret was burning like a torch"
Mr G. Roelafs (in Het Vaderland, 3 March 1955). A big square with mansions. After the war the monument was replaced to the Stuyvesantplein in the district. All the buildings were demolished, the monument stood firm.